I don't know what made me think of this, but remember that whole bird flu pandemic thing about a year ago? Everyone--Oprah, Dateline, Good Morning America, 60 Minutes, etc.--scared the sh*t out of America with their specials and people everywhere started stockpiling water and food... My God, there was even a made-for-TV movie about it. Well, I guess it isn't gonna happen because I haven't heard anything about it since... well, a year ago. Anyway, just for fun... bird flu books on Amazon. There are 792 of them. 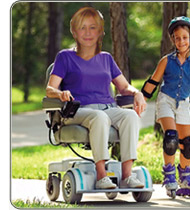 Also, totally unrelated... but there's a commercial on right now for a Hoveround, and I totally want one. It's that catchy Beach Boys' "Round, round, get around... I get around!" commercial that did it for me. Everyone in it is totally partying.